Meet today’s toughest challenges head-on with an education from the College of Science and Engineering at University of Houston-Clear Lake. Our students answer pressing questions and solve real-world problems across more than 20 undergraduate and graduate degree programs. 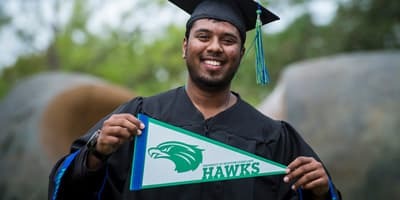 Innovation and creativity will fuel your studies at UHCL, and our small class sizes ensure you’ll have ample guidance from expert faculty every step of the way. Top-of-the-line campus labs offer specialized research in fields as diverse as biotechnology, computer security, plasma physics, marine ecology, robotics and more. Beyond the classroom, internship and research opportunities abound alongside top organizations like NASA, the Environmental Protection Agency, Boeing and the U.S. Army Corps of Engineers. Our alumni have built careers tackling earth’s most difficult challenges from beneath the waves to above the stratosphere, and soon you’ll be ready to join them. In Houston, there’s an almost endless demand for highly qualified mechanical engineers. 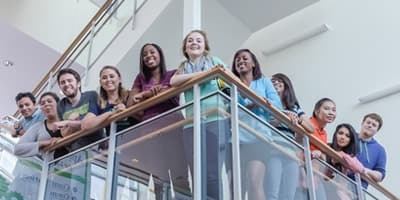 That’s why University of Houston-Clear Lake is offering up-and-coming engineering students the opportunity to obtain a new, competitive bachelor of science in mechanical engineering in a leading-edge science, technology, engineering and math facility. With the addition of the Science, Technology, Engineering and Mathematics or STEM & Classroom Building scheduled to open in 2018, new labs will foster hands-on learning experiences, allowing for students to develop more creative solutions. 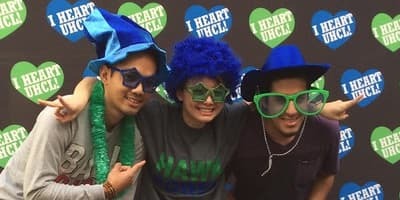 It’s this hands-on experience that really sets UHCL apart. Small class sizes ensure one-on-one mentoring and the opportunity to work on some of our 100 undergraduate research projects each year in state-of-the-art laboratories. Learn more about our degree offerings. Our faculty are experts their respective fields and maintain scientific collaborations and partnerships with peers at other institutions to create dynamic learning experiences for students.